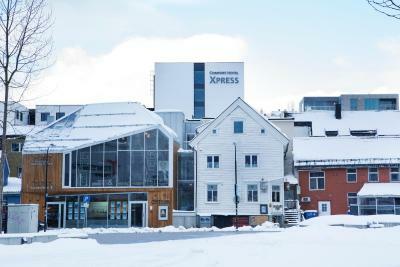 Lock in a great price for Comfort Hotel Xpress Tromsø – rated 8.5 by recent guests! The front desk staff is very accomodating. The location is good, very accessible. Location was very good. Near of principal streets. Very clean, friendly and helpful staff. Everything is within walking distance or, if you don't like walking, bus stop is around the corner. 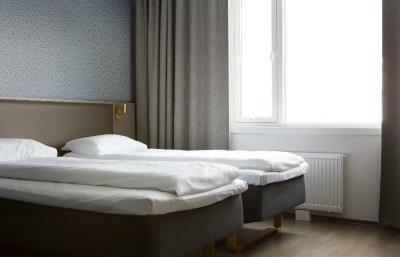 The bed was super comfortable, the barception was really cool, had all we needed for very reasonable prices. The staff were friendly and polite and gave us advice on the best places to eat! The room had all we needed and it was very warm and cozy. Perfect location in walking distance of all local bars, restaurants and trip meeting points. Perfect place for the perfect trip! Thanks Comfort Xpress!! It was literally a 5 minutes' walk to the centre. Very close to pretty much everything with various restaurants next to the hotel. The self checkin was incredibly easy. Although breakfast was not included, we had various options (sandwitches, yogurts, fruit, snacks, coffee, tea, drinks) we could buy at the reception. Even if there's no ketle in the room, you can get free hot water at the reception to make your own tea. There's no airpot shuttle so we decided to take a taxi which is about 20-22 euros, if you want to skip the bus. The room was very small but well designed and functional. Quite cozy. Bathroom was clean, had a great shower and good water pressure; and a little hair dryer. 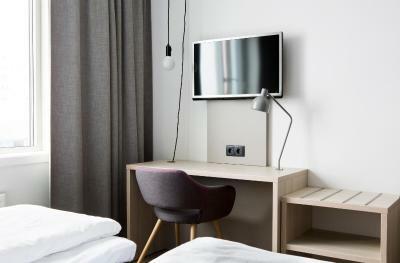 A good quality flat screen TV offered channels in multiple different languages. The only room for improvement: The mattress was a bit worn out, and I would have liked a small towel for my hair. Otherwise it was perfect! I'd definitely stay there again. Very comfortable bed. 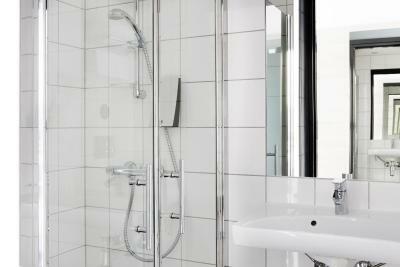 Small room but perfect amenities and stylish bathroom with big walk in shower. Very happy staff, always helpful and friendly. Stunning views from the window at the end of our corridor. Good location. Excellent value for money. 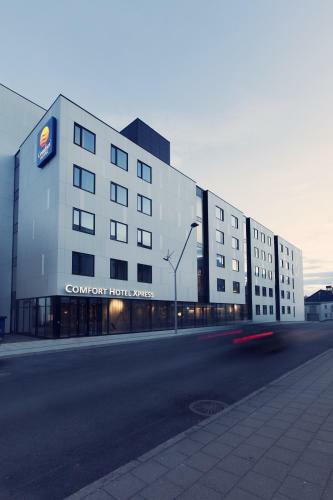 Comfort Hotel Xpress Tromsø This rating is a reflection of how the property compares to the industry standard when it comes to price, facilities and services available. It's based on a self-evaluation by the property. Use this rating to help choose your stay! 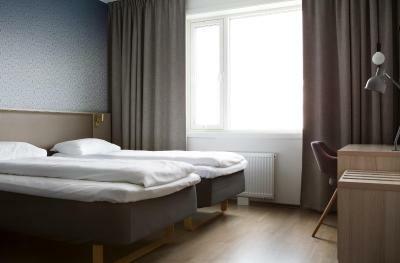 This eco-certified hotel is located in central Tromsø. 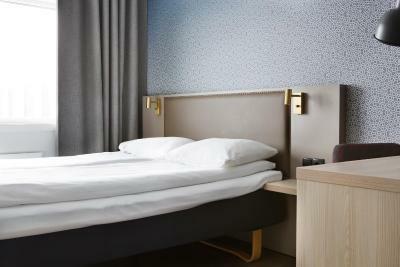 It offers simple guest rooms with free WiFi and a flat-screen TV. Storgata shopping street is just 1 minutes’ walk away. 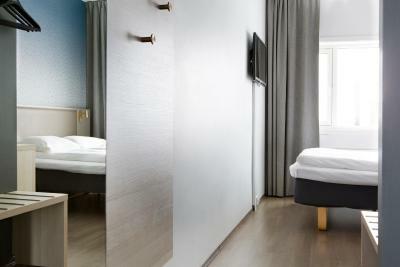 Wooden floors, a work desk and a private bathroom with shower are featured in all rooms at Comfort Hotel Xpress Tromsø. 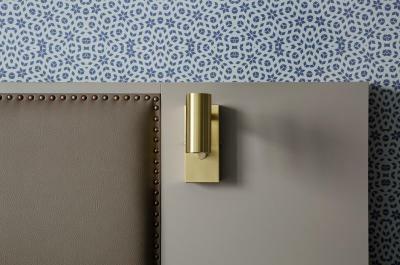 Some rooms offer city and sea views. 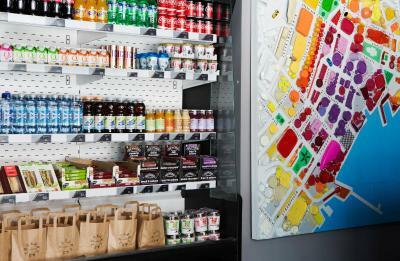 Breakfast items, snacks and drinks can be bought in the convenient 24-hour lobby shop and enjoyed in the lounge. 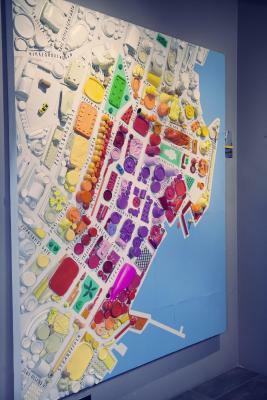 Several restaurants, cafés and bars are found within walking distance. 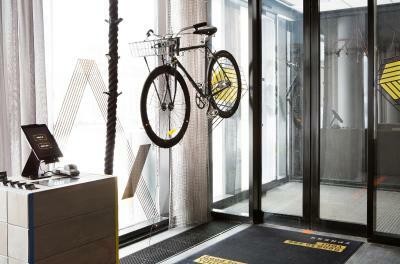 Polaria Experience Center is 1,650 feet from Comfort Hotel Xpress. 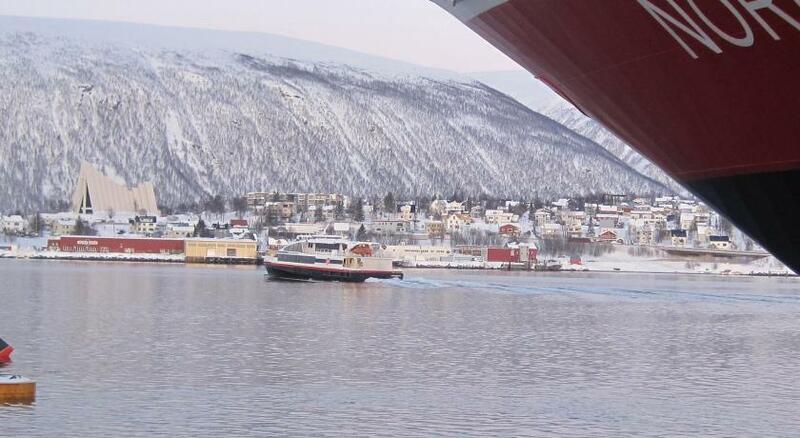 Tromsø's Hurtiguten terminal is a 6-minute walk away. 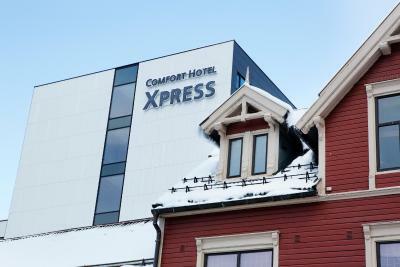 When would you like to stay at Comfort Hotel Xpress Tromsø? Features a seating area, flat-screen TV and private bathroom with shower. 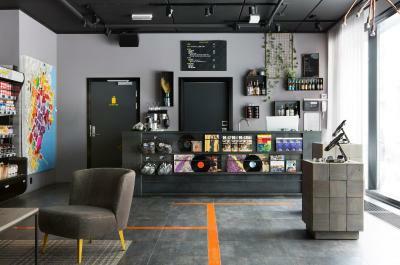 House Rules Comfort Hotel Xpress Tromsø takes special requests – add in the next step! Booking.com takes your payment on behalf of the property for this reservation. 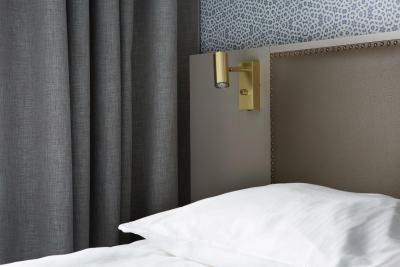 During your stay, you can pay for any extras using American Express, ​Visa, ​Euro/Mastercard and Diners Club . Starting 25 March 2018, this hotel does not accept cash payments. Please note that housekeeping occurs every 4th day. Additional cleaning can be ordered for an extra fee. How to get to Comfort Hotel Xpress Tromsø from "Tromsø Airport, Langnes"
I believe the arrangement of the room could be better. The bed was next the the wall in one side so if you are sharing, it is complicated to access without disturbing the other person. 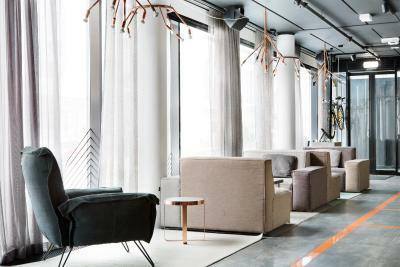 Location was perfect, right in the city center and you were able to walk everywhere from there. The staff was really friendly and helpful. There was healthy food you could buy right there in the reception in case you were in a hurry or too tired to go outside to eat. They also had an activity desk where you were able to get recommendations and book activities. We stayed here just for the night but the hotel was easily accessible and located in the centre of town. The rooms are on the smaller side but super comfy. 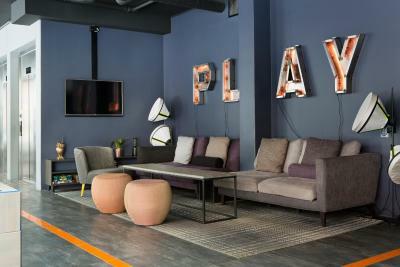 The hotel has a bar, snacks and other food items available and the staff is friendly. Room service, not clean everyday, even dustbeen not clean everyday. Staff saying that they might not always have change when you are buying at the hotel, meaning you need to pay with the card!!! The room was hot, even with the radiator off and window open couldn't get the room cooler than 24*c.
One of the most horrible hotels did I ever visit in my life. The fallout’s of scarce staff, no housekeeping, no cleanliness, no restaurant, rooms are of size of a rabbithole Etc are covered under the pretext of being an environment friendly hotel. I won’t recommend this hotel at all. Bright, modern, very cosy and comfortable. Our room had a lovely view of the water and it was both warm and comfortable. Ideal location in the town centre. Apparently there's such thing as too hot in Norway: even if you turn down the heating, the room temperature keeps rising all the time above 24 Celsius, no matter your preferences and an open window. 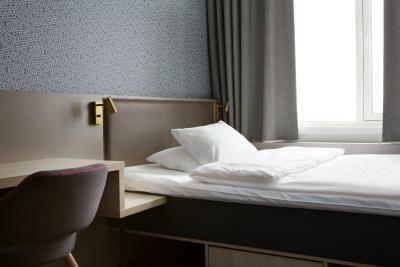 We had to sleep with stuffy nose constantly and only realized after 2 nights that the room was full of dust all around the corners and walls, and it made our sleep quite miserable. 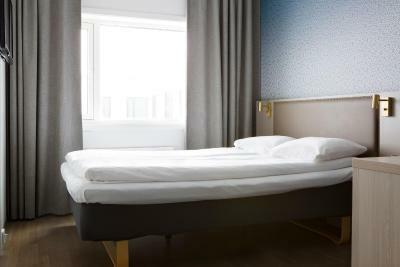 We could have ordered a cleaning, for an extra fee (it's not included by default), but nothing guarantees we don't get the same level of cleaning, like it was done before checking in. The TV cable was dead so there was no signal at all, the TV was useless in this form. Our hair dryer was dead, when we asked the staff, they gave us a portable one, so it's okay. Self check-in was not available when we arrived and the queue at the reception was very slow. The location is unbeatable. 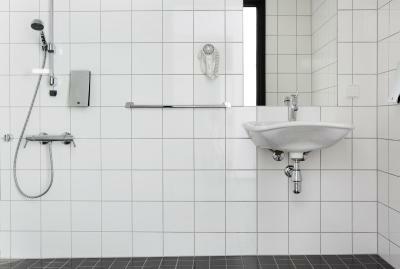 The bathroom has an amazing heated floor, it's really useful and pleasant. The bed mattress at first looked a bit too soft but after all it was comfortable to sleep on it, no problems whatsoever. I understand that rooms do not need to be cleaned daily but in 4 nights it would have been nice to have had the room cleaned in that time. Maybe room cleaning should be every 3 nights, not every 4. The hotel is very well located. On arrival it was very clean. 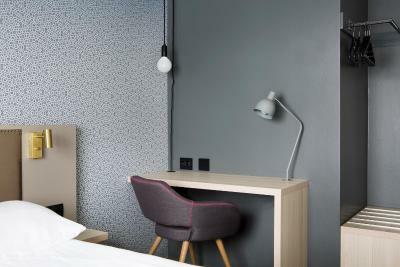 Focuses well on what you really need from a budget hotel. Although there is no breakfast provided the breakfast provided at The Edge was very good and good value for 150 NOK.